KAMPALA, Oct 24 2012 (IPS) - Uganda is facing the unwelcome possibility of increased costs for building a projected 600-megawatt hydropower plant at the Karuma Falls, on the Victoria Nile, owing to construction delays. The East African nation has yet to name a contractor for the two-billion-dollar project, which is situated 220 kilometres northwest of the capital, Kampala. Construction was initially planned to start in April, with inauguration expected in four to five years. The delay to boost generation may result in future power outages as demand may surpass supply, according to Dickens Kamugisha, the chief executive of the Uganda-based NGO Africa Institute for Energy Governance. The nation’s power demand increases by an average of 10 percent annually, according to the Ugandan Electricity Regulatory Authority (ERA). The country’s peak demand currently is 509.4 MW, while off-peak demand is 366.4 MW, ERA spokesman Julius Wandera told IPS. “Every passing day when the project isn’t started is costly to the companies that will undertake it and the country, and delays will ultimately increase the cost of construction,” Kamugisha told IPS. It will lead to upward revisions in costs, and demand will outstrip supply if more power is not generated in time, Kamugisha said. But because of the delay in naming a contractor for the Karuma hydropower plant, the construction costs for the project have already been revised to two billion dollars, from the initial 1.3 billion dollars given by President Yoweri Museveni in February 2010. “With the growing need for power, demand may outstrip supply in approximately three years if more investment into generation isn’t done,” Kamugisha said. But if the delays in commencement of construction can rid the project of irregularities, then the delay would be worthwhile, he said. Similar delays in the construction of the Bujagali hydro power plant resulted in the final costs rising to 900 million dollars, from an initial projection of 580 million dollars, according to Kamugisha. 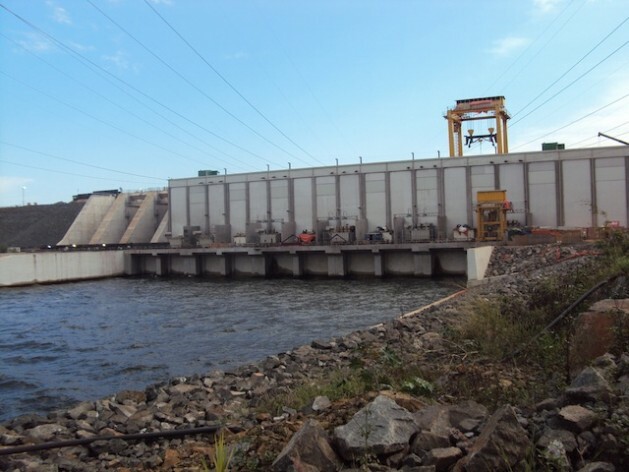 The generation capacity in this landlocked country in East Africa rose to 810 MW after the inauguration of the Bujagali Hydropower Project on the Nile, a 250 MW power-generating facility, in January. Bujagali has helped to eliminate the country’s daily power rationing. It started supplying 50 MW of power to the national grid in January and reached full capacity, 250 MW, in June. Inadequate power supply hurt economic growth by one to 1.5 percent in the last financial year, according to the Ugandan government. The nation’s economic growth in the 12 months ending in June 2012 slowed to 3.2 percent from 6.7 percent a year earlier partly due to inadequate power supplies and the Eurozone economic crisis, according to the Ministry of Finance. “The coming into operation of Bujagali has been a major boost to my business as I have a regular power supply,” Richard Ssemanda, a welder in Kampala, told IPS. “Initially I would spend a whole day without work or even had to go so far as to work at night if that was the time when power was available,” he said. “I am happy that there is a steady supply of power but I am only using it for lighting because I can’t use it for cooking due to the high costs,” James Senfuka, a builder in Kampala, told IPS. Tariffs remain high, limiting household use to lighting and ironing, according to some of the users. In January the ERA approved an average 47 percent increase in rates to reduce subsidies to the sector. But the minister of state for energy is keen to avoid a repeat of the 2011 loss in economic growth. “From experience we saw costs for Bujagali rising because of the delays, and if we delay this process we can be sure the tender price will go up,” Simon D’Ujanga, the minister of state for energy, told IPS. “We are concerned about the delays in the (Karuma) project and we want these issues to be resolved quickly so that we don’t suffer further power shortages which would impede economic growth,” D’Ujanga said. Power demand may rise from the current peak of 509.4 MW to more than 700 MW in two to three years, D’Ujanga said. The nation has an installed generation capacity of 810 MW, but the capacity can drop to just over 600 MW when water levels decline, he said. “Small projects may start supplying power to the national grid, but we are worried that if Karuma doesn’t start soon we shall face future power shortages,” said D’Ujanga. “It is good to always prepare for the worst by starting on the project early,” he added. The project was delayed when pre-qualification losers for the Karuma hydropower plant lodged appeals in court and with the state procurement agency. China’s Sinohydro Corporation and China International Water and Electric Corporation as well as Perlite Construction Company of Iran were pre-qualified for the project in February. Italy’s Salini Construttori SPA, Egypt’s Orascom Construction Industries and a consortium of construction companies from South Africa were the other bidders. “We were supposed to start on the project in April, but the process has been delayed by complaints by some losers in court and whistle-blowers who petitioned the Public Procurement and Disposal Authority,” Matovu Bukenya, a spokesman for Uganda’s Ministry of Energy, told IPS. Italy’s Salini Construttori SPA petitioned the court on grounds that the bidding process was marred with irregularities, and asked that it be reviewed. The country has potential investment sites for 2,000 MW of major hydropower plants, mini hydropower sites with a total of 200 MW, 200 MW of solar power, 1,650 MW of biomass, 800 MW of peat, 450 MW of geothermal as well as wind energy, according to the government web site. Museveni has said that increased power generation will spur industrial growth and enable the country to become a middle-income economy “in the next few years,” and ultimately transform it into a high-income country in 50 years.